Looking back over the last eight years, it has been a long and varied ride to here. Uphill slogs and long descents; smooth highways and barely-rideable trails; lung-bursting efforts and easy ambling; blue skies, blazing heat, chilling cold and torrential rains - I can't complain about the variety. The only consistency was the camaraderie of friends, old and new; the curiosity and kindness of total strangers; and the pure pleasure of riding every ride. But this is end control, and this ride ends here. 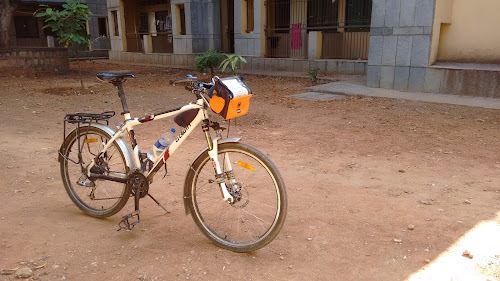 I will be leaving IISc, (and Bangalore) soon, and will no longer be posting to this blog. (It will remain on the web as long as Blogger chooses to keep it.) If and when I start blogging again I will post a link here. I can always be contacted via the README page. Bicycling in Bangalore: See the Bangalore Bikers group.